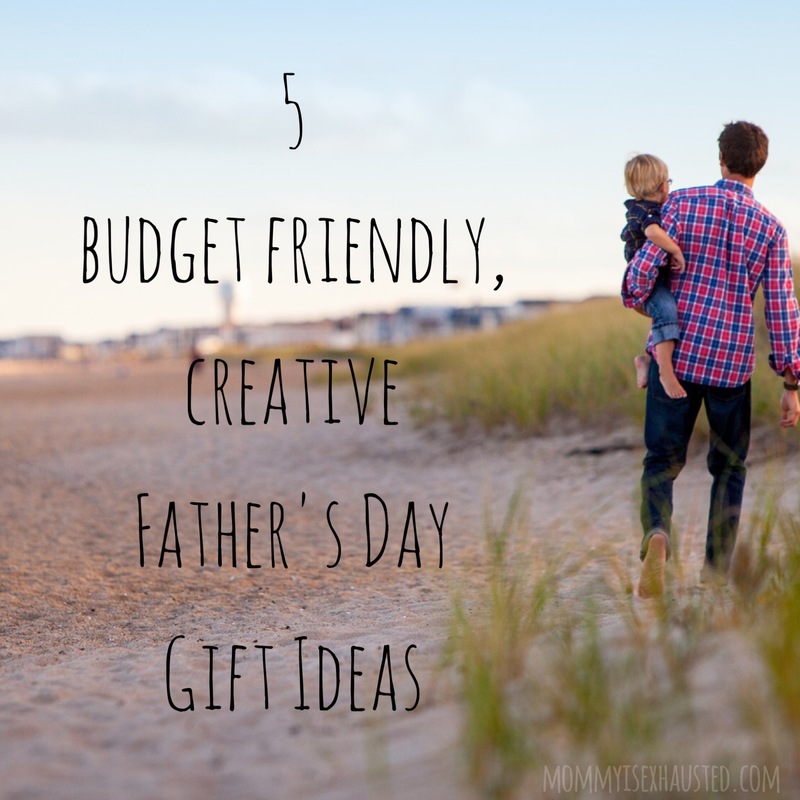 5 Fun Father’s Day gift ideas! Father’s Day is coming up and that is a pretty important holiday in our house. Let me tell you why– it is simple really.. my kids have the best dad! They’re pretty lucky 🙂 I really want to make this Father’s Day special for him so I will have to get creative. I’ve kind of set the bar pretty high in years past. I don’t know how to top some of our previous gifts. This year, my husband has requested sleeping in- and I wholeheartedly believe he wants this more than anything ha … so maybe we’ll honor that and come up with something else too. Stay tuned. In the meantime, here are 5 Father’s Day gift ideas my son and I worked on a few years back. We were pretty proud of ourselves! They were cute, cheap, creative and fun. My husband loved them! Share your own ideas in the comments, or if you use any of these ideas- share your photos! I’m being told constantly that my son is a mini me of his dad. I mean, he does look exactly like him. I decided that for Father’s Day I would dress my son up in my husband’s clothes and do a quick photo shoot! My son thought it was hilarious to wear daddy’s clothes and my husband loved the pictures! He framed them and put them in his office. My son and I ventured outside for some more photos but this time we used letter cutouts and made a picture collage for my husband! Jack had so much fun posing with the letters and when put together they spelled daddy! We got a cute frame for the photos and my husband still cherishes this sweet gift! This one was just for fun. I took one of Jack’s shirts and wrote a message to my husband! I then let him sit down at his art table and draw a picture for his dad while wearing the shirt. It was cute and funny to see Jack making art for his dad while wearing a shirt wishing daddy a happy Father’s day! My husband had a lot of photos from our Father’s Day Celebration! Before I figured out that art isn’t really my son’s thing, we spent a lot of time doing it! ha. I loved doing art projects with my little one. Maybe one day he’ll grow to love it again, or maybe he’ll love other things more. Thankfully, he had the patience to complete a few projects for his daddy! The first thing we did was decorate a coffee mug. My husband loves coffee!! We got this white mug on clearance at Target and got oil based sharpie markers! I applied “DAD” in tape to the mug and then let my son have at it! When he was finished we put the mug in a COOL oven and let it heat up with the oven. 350 degrees for 30 minutes. Let the mug stay in the oven for the entire process. (Heating up and cooling down). After a few hours apply acrylic sealing spray. Even with the sealing spray I would still only hand wash your creation! My husband really cherished this gift! He absolutely loved having a creation made just for him by our little one. If you have a lot of photos leftover and are looking for something to do with them, you can always create a photo collage as well. This one kind of sat around the house for a while as we threw it together last minute– but it was fun to do. With extra time and patience, we could have crafted it a bit better (ha!) but with a 2 year old, you take what you can get! This could be fun for older kids that can write their own father’s day poem or cut out magazine images. We used photos and scrapbook clippings. I hope you got some fun ideas from our list. Our Father’s Day a few years back was pretty epic. We had a lot of fun with it. Whether we decide to top this one this year, or just let daddy sleep in and give him extra cuddles, the important thing is acknowledging these holidays! I think it can be easy to overlook these “hallmark” holidays, especially when life gets really busy… but I think they’re really important. Like I said, my kids are so lucky to have the daddy they have! He is so loving, funny, smart, sweet and he cherishes us. We are so blessed. This will be his first Father’s Day without his own father… and realizing that has made me appreciate these days more. I wish we’d made bigger deals out of them in the past. However you choose to celebrate your father will be perfect, as long as you choose to celebrate! I love the idea of a photoshoot in daddy’s clothes! Some great, simple ideas here. Thanks!